Gravity and the secret sauce of life! Life in space is impossible! 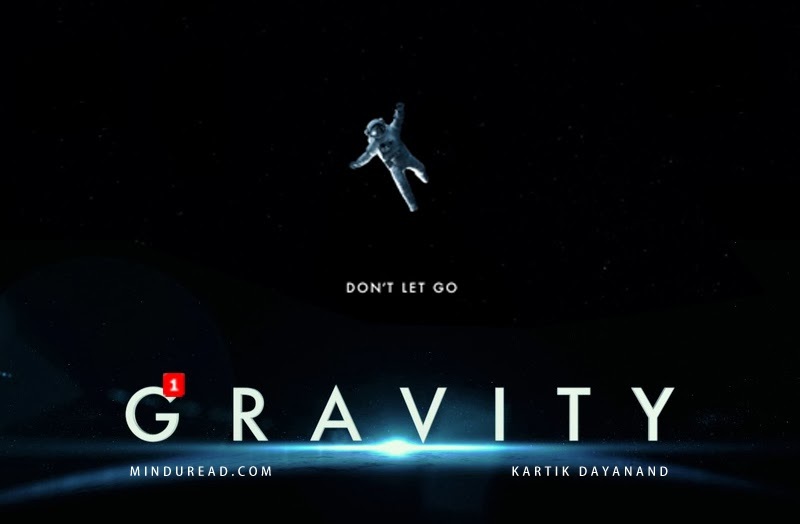 The movie ’Gravity’ begins with this ominous line, and for the next 100 odd minutes it is an immersive roller-coaster ride following astronauts marooned in space. 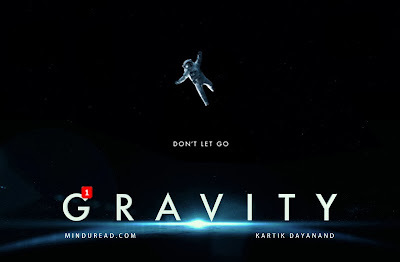 As the tag line of the movie ‘Don't let go’ suggests, survival of the characters in the film depends on - holding on to things, letting go off things and reaching out for the right things at the right time. This in essence is the simple storyline of the film. The above scenario reminded me of how similar life on earth is to the one the movie showed us. For survival, we all do the same three things - hold on, let go and reach out; though not literally like in space but in a very metaphorical and invisible way. This is the secret sauce that I am going to speak about in this post. If you were expecting a review of the movie Gravity, I am sorry to disappoint you. Emotions, both positive and negative - love, hate, anger, joy, jealousy, faith, friendship, belief, prayer, hope, etc are all small parts of an invisible chain. A chain that acts as a tether, providing us balance and holding us together like glue, similar to gravity. Only difference, this is a person to person and person to surroundings connection, not just the mere force of earth’s gravity. I call this the secret sauce of life; else in the absence of tethers, our state would be similar to those marooned astronauts in space – lost and purposelessly drifting away. There is a very basic human need that forms the basis for this connect and the primary thread that binds all these emotions is called VALIDATION. Our entire existence as a human race is based on validation. We look for validation via grades, money, positions, titles, love, marriage - almost everything we do in life is to get validated by someone else. We tend to validate ourselves by assuming identities, by taking pride in the concept of family, community, school, organisation, religion, city, nation, etc. We derive pleasure and feel validated in rooting for our favourite sports teams, films stars, singers, authors, etc. Life would have no meaning otherwise! After watching the video, you would realize that a SMILE is the biggest currency of validation. I am sure you would also realize why Facebook is such a huge phenomenon. Facebook works on the simple principle of validation. The LIKE button (you are awesome button) is the biggest ego booster/validator that one could ask for even though it is a virtual one. Same is the case with YouTube, Twitter, Pinterest, Instagram, Whatsaap and every other social network out there. They are not just a piece of technology but a replica of human behaviour and emotions online. When someone faces a similar state of isolation at a personal level, there are only two, rather three choices for them - kill themselves, kill someone or become the living dead. Even our heroine in the movie considers one of the above options (suicide) and is close to or is already unknowingly living in another of those states (living dead). However, in the face of insurmountable odds, having realized her state, she chooses a fourth option - to be reborn as a new person, by holding on to hope, letting go of her fears and reaching out to a life she wants to live again. Alfonso Cuaron films this concluding scene in what could arguably be called as one of the most extraordinary moments of not just this film but any film ever shot. I am not going to speak more about that scene, you need to see the movie to experience it yourself. Gravity or oxygen alone are not enough for us to survive on earth. If they were, then we wouldn't be fighting or killing each other in the name of regions, religions or beliefs and things like terrorism, violence and crime would cease to exist. What we instead need is a secret sauce, a tether, a tether that validates our existence in a positive way. The stronger and healthier it is, the better mankind will do and the better our world will seem. Whoever said “love makes the world go round” certainly knew a thing or two about life. Else, life on earth would seem impossible too!